There are millions of web users with disabilities. Creating websites that are accessible to these users will allow you to satisfy United States federal laws and reach more users. Whether it involves creating an accessible site from scratch or else updating an existing site to meet standards, there are tools to help you. 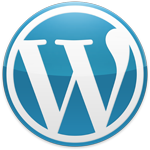 WordPress is not merely a blogging tool. Creating custom posts and taxonomies gives you a robust content management system. The following are excellent readings and plugins about custom posts and taxonomies. When to (not) use a Custom Taxonomy on Ottopress. This is the best online definition of taxonomies that I have found. Types – Custom Fields and Custom Post Types Management. This is an excellent, stable plugin that is compatible with WPML and Genesis Framework. Note: In creating and managing custom posts and taxonomies you have the option of adding these in your functions.php file or by using a plug-in. My vote is the plug-in: It saves you time, it allows for greater ease in updating and changing themes, and organizes your custom posts and taxonomies. There are numerous options out there, too. We love calendars. But online calendars sometimes do not love us back. And at other times they are down right viscious. Right now I am in a love-hate-love relationship with the following WordPress calendar plug-ins. My Calendar by Joseph C. Dolson. It’s flexible, documentation is good, and it allows multiple users to log in and add entries. For someone who needs to show calendars in both a grid and a list format, this is a good option. Joseph Dolson is also actively maintaining this plug-in. There many features – including a jQuery month picklist — which may or may not be enabled. 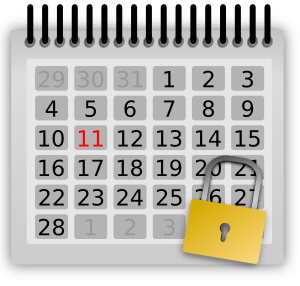 AJAX Event Calendar by Eran Miller. Not as much functionality as My Calendar, but it’s swift and pretty. Because it’s an AJAX based calendar you’re not creating HTML pages which are going to be indexed. That may or may not be an issue for you. But, again, it’s pretty, it’s fast, and it does work on mobile. Download Advanced Access Manager by Vasyl Martyniuk and you can give different users the ability to add entries. When setting up a new WordPress site it’s good practice to install the following plug-ins. I’ve found them to be stable with different versions of WP and different themes, they are relatively conflict free, and they are currently well maintained. And after you download and use the plug-in, please make a donation to the developer. User Locker. Simply put, don’t allow someone to hack into your web site via brute force guessing of your password. Also, if you manage users, you can put a limit on the number of guesses they have for logging in. Note: This plug-in does not always play nicely with your web server’s Apache security. If after installing the plug-in you find your IP address blocked from your site, this could be the culprit. W3 Total Cache. WordPress is based on a MySQL database and calls to it from your php templates. In sum, this is slower than a “flat” HTML page. But by creating and fine-tuning a cache of pages, scripts, and other files used to create your pages, you can greatly improve your web site speed. Note: This plug-in does not play nicely with all implementations of jquery. In particular, the minify function can break some jquery slideshows. In that case, deactivate minify and keep the rest of the plug-in running. Google XML Sitemap. Let people find your site via search engines. And while you are at it, get a Google Analytics account. Broken Link Checker. This plug-in won’t analyze the content of your links, but it certainly reduces the mind-numbing task of checking for broken links on your site. Broken links sends the message to your users that you are not monitoring your site content as well as you could. And add your choice of “under construction” plug-ins for when you need to turn on your site and test it before allowing it to go public. So Just How Easy is WordPress? Because WordPress is such a useful tool for developing a website, it is similarly useful to explore the “depends” part in more detail. WordPress began as a blogging tool. It initially was designed to show several paragraphs as text that scrolled in reverse, chronological order. Sign up for an account on WordPress.com, give yourself a unique account name, and presto you are now a blogger. Add text and a picture on a daily basis and you are a published author. Could you be happy with [yourname].wordpress.com as a web site? If the answer is yes, then you have a quick and free web site. WordPress is also an open source content management system that can be installed on a web host and customized to run highly complex web site. With the proper knowledge, you can make WordPress do many, many things. I would not go so far as to say anything, but there’s a lot that it can do. And when designed and developed properly, with proper training it can be handed off to a client with limited technical knowledge to do subsequent updates. This is why WordPress is so appealing to web developers. Making WordPress do all these miraculous things, however, is not so simple. Some of the miracles include making it look, act, and behave the way that you would like it. This involves planning, preparation, and getting into its guts and eviscerating it. This part can be easy or it can be difficult. So when someone talks about the ease of using WordPress remember that it depends on which of the several faces of WordPress they’re looking at.